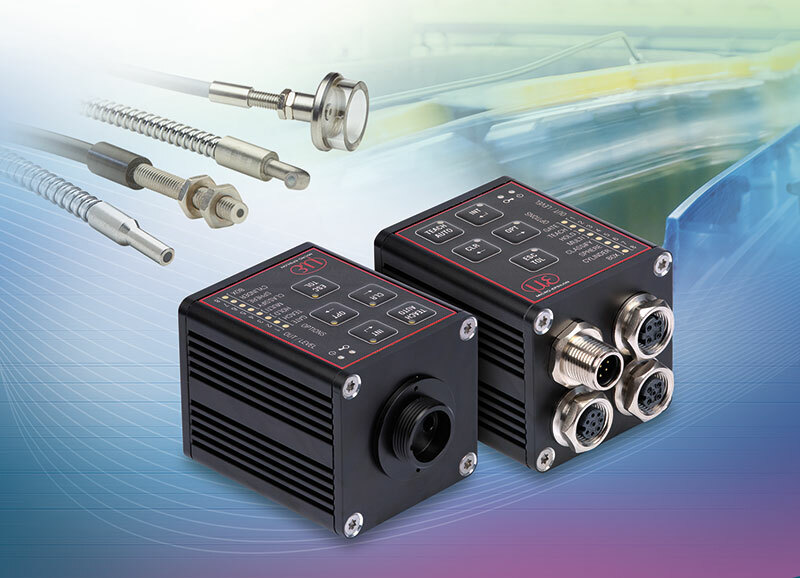 Micro-Epsilon’s color sensor range has been extended with the new CFO200 colorSENSOR model, which with a measurement frequency of 20kHz, is ideally suited to dynamic measurement tasks. Furthermore, 220 lumen produces enormous light power. In addition, 8 digital outputs are available. Due to the excellent repeatability of ∆E ≤ 0.3, the finest of color graduations can be recognized reliably. Even dark colors such as black, gray and dark blue can be distinguished, e.g. when measuring the gray shades of concrete blocks and paving stones. In the automotive industry, the color sensor determines the color change during galvanization in order to stop the machine when the set point value is achieved. The CFO200 is also used to distinguish materials and coatings, as the sensor also reliably recognizes minor color deviations, e.g. from stainless steel and zinc to brass and gold. The high precision CFO100 and CFO200 True Color sensors recognize any color whether it is for painting technology, automation systems, medical packaging, quality control, surface-labelling, and printing technology tasks. The sensors can now be accessed using the innovative web interface from Micro-Epsilon which provides ease of use. Connected to a PC, the user benefits from graphic queries of sensor data and numerous convenient settings. Furthermore, the sensor can be adapted to suit different colorgroups and tolerance spaces for each color. Teach-in of colors can be carried out via web interface. Recording color values and control of the production systems is possible due to the Ethernet interface, which enables integration into modern industrial environments. Illumination and measurement are provided via an optical fiber that involves several advantages. The sensor is ideal for restricted areas as the sensor head requires a minimum of space. Furthermore, a large number of sensor heads fulfill the requirements of various measurement tasks and customer-specific adaptions.